ForumTR is hosting its next roundtable work-shopping session! The session is welcome to drop-ins and newcomers. This week we ask that you come with something you'd like to focus on. 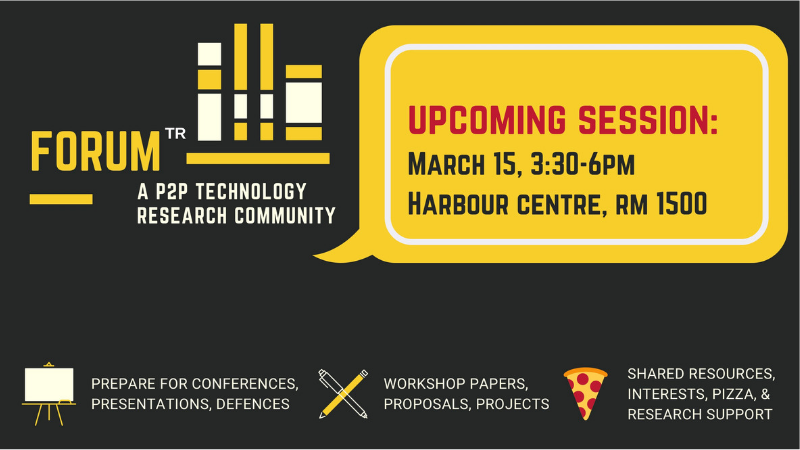 Please bring something you'd like to workshop with peers, such as ongoing or upcoming papers, proposals, or conference abstracts, or a particular research problem or concept you'd like to flesh out within your work.